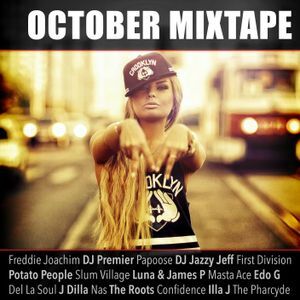 Freddie Joachim, DJ Premier ft. Papoose, DJ Jazzy Jeff ft. Dayne Jordan, First Division, Potato People and more. This show was 34th in the global underground hip hop chart, 62nd in the global hip-hop/rap chart and 70th in the global rap chart. For those of you that like your hip hop with a soulful flavour and RnB vibe. This mixtape features tracks from some of my favourite hIp hop producers; DJ Jazzy Jeff, DJ Premier, Freddie Joachim and the legendary J Dilla. Turn the bass up! Thanks for listening, please repost and share. Got an old school mix planned for later in the year featuring 2 guest DJs.